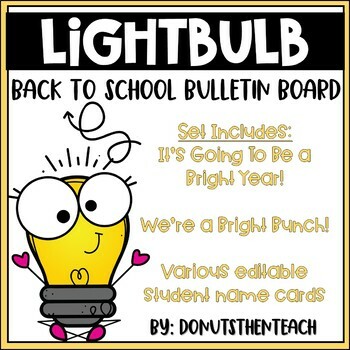 This LIGHT BULB themed bulletin board would be a cute back to school bulletin board. - It's Going To Be a Bright Year! - We're a Bright Bunch! Please let me know if you have any questions prior to purchasing!